'This tree was planted by Benjamin Stevens. 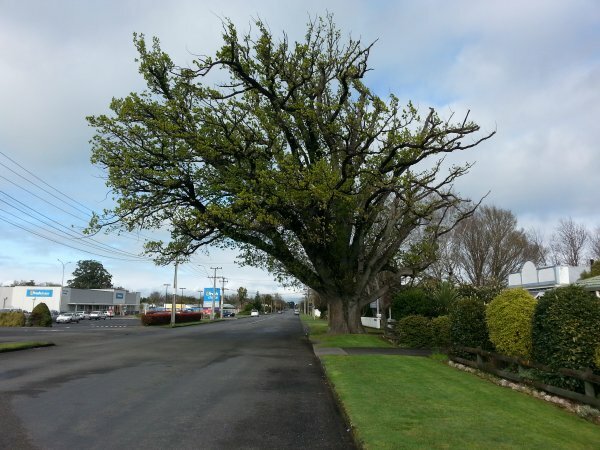 The tree is known locally as the "Farley's Oak". Benjamin Stevens arrived in Greytown on the 27 March 1854. He was a member of a pioneering party under the Small Farms Settlement Scheme. He had been successful in a land ballot held at the Crown and Anchor Public House in Wellington on the 16 March 1854. Stevens drew Section 16. The acorn that this tree was grown from, was given to him by J. Meads, who drew Section 7. (Wood Street Greytown used to be a part of Section 7). There are many English oaks growing to-day in the area which were planted by Meads. Duthie 1987. 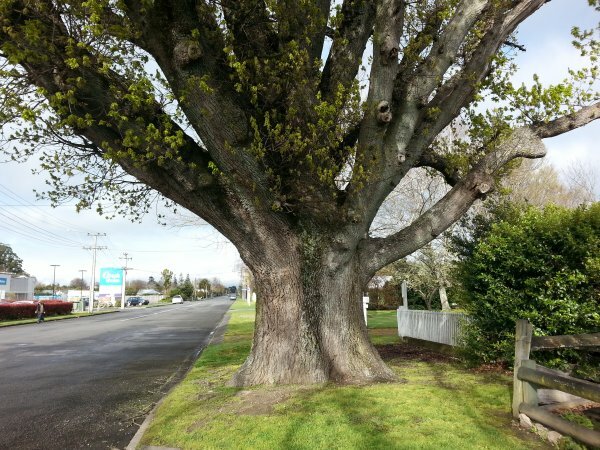 'It is a magnificent tree and is the fourth largest in the (former) RNZIH register of English oaks in New Zealand'. Watson 1988. Reference. Greytown Beautifying Society. 1982 Burstall SW. FM. Report no.20. 1974; p.25.